Assange in turn accused the CIA of producing terrorist groups and dictators. He said the CIA produced Al-Qaeda, referring to the agency’s role in arming and training mujahideen fighters in Afghanistan to fight the Soviets during the 1970s, some of whom – including Osama Bin Laden – later evolved into Al-Qaeda and the Taliban. Assange has previously stated that the CIA’s role in arming the mujahideen led to Al-Qaeda, which led to 9/11, the Iraq invasion and, later, the formation of ISIS. The CIA admitted it was behind the 1953 coup in Iran which overthrew Prime Minister Mohammad Mosaddeq and reinstalled the Shah, Mohammad Reza Pahlavi, whose 26 year rule led to the 1979 Islamic revolution. Assange's Pinochet reference alludes to the CIA’s “firm and continuing policy” to assist in the overthrowing of Chilean President Salvador Allende in 1973, and its support for dictator Augusto Pinochet. Pompeo’s attack on WikiLeaks appears to be in response to an op-ed Assange wrote in the Washington Post on Tuesday which referenced President Dwight D. Eisenhower’s 1961 farewell speech, in which he warned of the dangers of the influence of the military industrial complex. Assange said the speech is similar to WikiLeaks’ own mission statement. “We publish truths regarding overreaches and abuses conducted in secret by the powerful,” he said, going on to say that WikiLeaks’ motives are the same as those of the New York Times and the Washington Post. 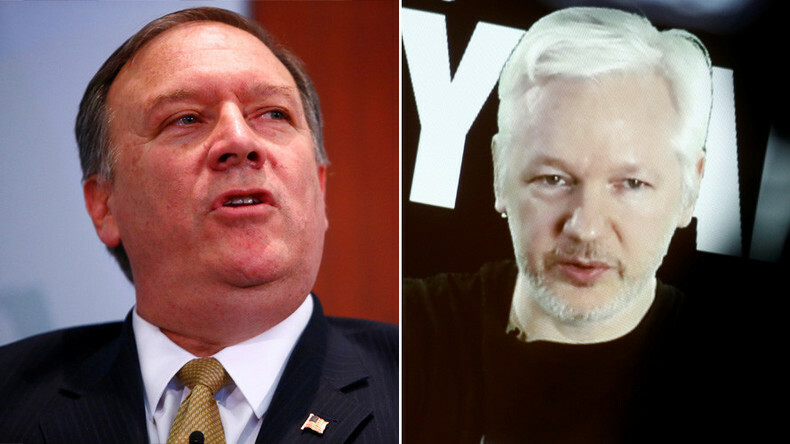 Pompeo himself has previously appeared to support WikiLeaks’ revelations, while President Donald Trump praised the whistleblowing site on more than one occasion during the presidential election, even professing his love for WikiLeaks in October.